Shopping strategy No. 1: Take $500 to your favorite electronics store and pick out a compact disc player you like at that price. Now move down two shelves, buy the $250 player from the same manufacturer, and head for the nearest record shop to buy twenty CD’s to expand or start your collection. The above recommendation is only partly tongue-in-cheek. CD player performance has reached near-commodity status, and unless your system (and budget) is more than a little high-end, it’s unlikely you’ll encounter much in the way of dramatic performance distinctions among players in any price range. Which is not to say that differences don’t exist—they do. But they may not be immediately obvious to the ear or eye—especially as you approach the $1,000 mark. You may glean slight (and we do mean slight) refinements in sonic performance from big-ticket players, and you will almost certainly find more sophistication in controls, features, and fit-and-finish. Beyond this point lies true high-end country, a land of claim and counter-claim by engineers and audiophiles alike. Enter at your own risk: High-end hi-fi is vastly entertaining, but it can be addictive and very expensive (see “High Hopes”). The first question any shopper must answer is, what sort of player do I need? A single-disc model or one that handles five or more discs at a time? That depends on your listening habits and your lifestyle. If you’re a connoisseur who regularly listens to musical works from start to finish, a single-disc player should suit you just fine. But if you do a fair amount of entertaining, listen to many different styles of mu sic, or enjoy having background music on while you’re puttering around the house, skip the single-play models and head for the changer shelf. More than half of all home CD players purchased today are multidisc changers. Five- and six-disc “carousel” changers, which load CD’s onto a top-loading or drawer platter that rotates each disc successively into place, are the most popular. Disc-access time is generally a little shorter than with “magazine”-style changers, and often you can swap some discs while another is playing—a very convenient feature. 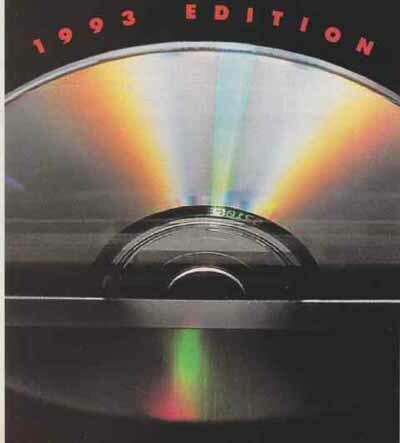 Magazine changers, which typically accept six or ten discs in a pull-out magazine (or cartridge), offer different advantages: compatibility with a car changer of the same brand (or a similar one), long-term storage (additional magazines cost about $25 apiece), and greater capacity. Pioneer, for example, makes changers that accept two or three six-disc magazines for twelve- or eighteen-disc hands-off play. In fact, high-capacity changers are a coming thing. Fisher has a machine that ingests twenty-four discs in a jukebox-like carousel, yet preserves easy single-disc playback. Sony just introduced a hundred-disc model, and NSM’s computer-controlled hundred-count player has been on the market for well over a year. If you’re leaning toward the changer option, keep in mind that some models—particularly magazine players— make it tough to load a single disc quickly for instant gratification. If that’s a problem, check out a hybrid model that has a single-disc drawer and a six-disc magazine (available from JVC, Kenwood, and others). Also pay attention to disc-access time, which varies according to changer type and disc capacity. Finally, disc- handling mechanisms can be some what noisy while swapping discs, so be sure to listen between songs from different discs. 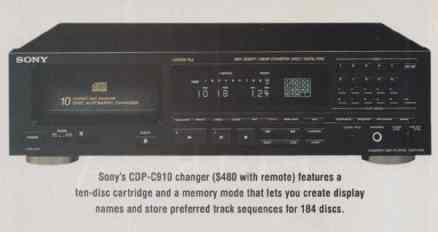 -- Sony’s CDP-C910 changer ($480 with remote) features a ten-disc cartridge and a memory mode that lets you create display names and store preferred track sequences for 184 discs. -- Fisher’s Studio 24 changer ($500 with remote) has a jukebox-like carousel that holds twenty-four CD’s. Discs are loaded one at a time and can be classified under preprogrammed labels (Jazz, Rock, etc.) or assigned display names. -- Denon’s LA-3100 combi-player ($1,200) has a drawer-type platter that accepts an 8- or 12-inch laserdisc or a CD. The LA-3100 plays both sides of a laserdisc automatically and has a jog/shuttle dial. -- The Technics SL-PD847 five-disc carousel changer ($230) lets you swap four discs while the fifth is playing. An ID Scan mode previews each track on a disc, playing the loudest (and most easily recognized) passage of each song for 10 seconds. In any guise, changers offer the al lure of extended, hands-off play, and there is a tremendous variety of magazine and carousel models to choose from in the $200 to $500 range. 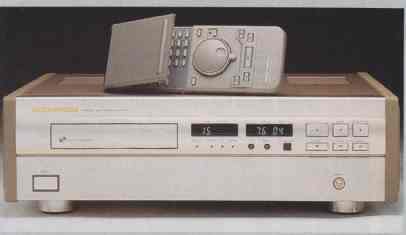 Another fetching option is the “combi-player,” which handles ordinary music CD’s and laserdisc movies and videos. Most combis offer audio performance and CD features equal to those of fine audio-only models, but at about twice the price. From an audio standpoint, about the only combi player drawbacks are large size, relatively slow track access, (typically) higher mechanical noise, and, of course, price. On the other hand, when it comes to video reproduction, laserdisc is clearly superior to VHS tape in picture and sound quality. If you need a CD player and feel strongly that a home theater is in your future, visit the combi-player shelf first. Then there’s the portable pantheon. Handheld, battery-powered CD players from many manufacturers offer mobility and, in the case of higher-end models, at least, near home-player performance. Some subtle audible differences may show up in portables that sell for, say, $250 or less when they are compared with the best home players, but these are largely the result of compromises inherent in miniaturization and the low-power-consumption design needed to extend battery life. The best portables, however, are nearly free of compromise when it comes to sound quality. A portable CD player has obvious attractions, principally . . . well, portability: You can use it at home, in the car, at the office, and on planes, trains, and busses (many models include headphones). But portables can be harder to use than home machines because of their small, fussy controls and displays, and they may fall a bit short in the features department. They also, as a class, tend to have a shorter lifespan than their home counterparts, often the result of their hazardous, every-which-way-but-loose duty. It’s a tough call. Many buyers solve the dilemma by purchasing a good portable for multimode use, adding a permanent shelf player when the budget permits. --- Marantz’s CD-11 Mk 2 CD player ($2,500) employs the latest-generation Bitstream 1-bit D/A converter from Philips and features preferred-track-sequence memory for up to 195 discs. • Full-function remote control. Wireless remotes are common fare, but the ultimate coach-potato tool is one that has a volume control and duplicates all major front-panel controls. • Digital output. A must for serious systems, this special output—more common in fiber-optic than coaxial form-.— lets you bypass the player’s D/A converter and pass digitized music signals directly to a digital recorder, preamp, or signal processor. It may also be your ticket to future add-on features—maybe even video! • Library / programming functions. Although programming can be tedious, the ability to create tag lines for individual discs, which are displayed whenever they’re loaded, is a nice touch. Some players also store your favorite track sequences for individual discs (or a load of discs in some cases). • Headphone jack. Beware: Not all headphone jacks have a dedicated volume knob, which can be handy. • Visual displays. A comprehensive, easy- to-read display is a valuable aid. Some players do not offer all of the possible time displays, such as elapsed or remaining disc and track time. Onscreen (TV) display is a worthwhile combi-player feature, provided there’s also a front-panel display for CD only playback. • Shuffle play, or random play. This handy, one-button feature lends a fresh sound to old music by playing the tracks on a disc in a random order. Changers that can randomly select tracks from all of the discs in the tray or magazine, rather than from one disc at a time, produce a more interesting mix. • Integrated remote functions. Some players can be connected to a same-brand receiver or integrated amp (via a rear-panel cable) for coordinated control from one remote handset—for example, hitting the play button turns on the CD player and the receiver as well as selecting the receiver’s CD input. • Tape-recording aids. Many players offer features that automate analog taping. One example is peak search, which scans the disc for the highest-level passage. Another is automatic editing: You key in the tape length, and the player selects tracks to fit as many as possible on each side of the tape. The Panasonic and Pioneer players are just now beginning to hit store shelves. The game-oriented Sega CD has been around for about a year, but, strictly speaking, it offers less than audiophile-grade CD playback. Phil ips CD-I players have been available for well over a year, and CD-I is currently the only interactive format with a substantial library of titles— about a hundred at last count. --- Pioneer’s PD-TM3 changer ($510) accepts three six-disc cartridges. It has a built-in digital signal processor with five ambience settings and a headphone jack with a dedicated volume control. --- Onkyo’s OX-C210 six-disc carousel changer ($350) lets you change up to three discs without interrupting playback. You can also create your own forty-track playback sequence, selecting songs in any order from any of the discs in the platter. --- NAD’s Model 502 CD player ($299) features 1-bit MASH D/A converters, a coaxial digital output, and the ability to program a twenty-one- track playback sequence. --- Kenwood’s DP-R5750 five-disc carousel changer ($299) offers repeat modes for a single track, a single disc, or a programmed sequence from one or all of the discs. You can switch two of the discs in the platter while another is playing. --- JVC’s XL-M509TN ($380) is a “6 + 1” changer that combines a six-disc cartridge and a single-play drawer for on-the-fly operation. You can assign eight-character labels to 156 discs (in twenty-six cartridges) and search for them by those names. Which, if any, of these formats will set the interactive-multimedia standard of the twenty-first century? It’s anybody’s guess. (If you know the answer to that question, go out and buy a lottery ticket—immediately!) Should you invest in one of these first- generation interactive players? Experience says probably not—at least as a primary CD player. But for secondary systems, video-game and computer junkies will be hard pressed to resist at least checking out this new form of home entertainment. The technology of digital audio has evolved along several different paths since 1981, and manufacturers frequently boast of improved performance resulting from one refinement or another. Most such claims are technically legitimate, but few translate directly to appreciable sonic gains. The most prominent (and frequently trumpeted) refinement is in the type of digital-to-analog (DIA) conversion circuitry employed. Multibit (16-, 18-, or even 20-bit) D/A converters were the only game in town up until a few years ago, and they are still widely used to decode CD data. An 18-bit or higher- bit-rate chip theoretically offers somewhat greater accuracy than 16-bit con version, though in practice a carefully engineered and calibrated 16-bit de sign can be equally precise. It’s tough to generalize, but 1-bit converters tend to be more stable over time and to offer slightly better performance for the dollar—at least in the case of inexpensive players. Once you move beyond the $500 level, sophisticated multibit designs are nearly as common as 1-bit converters, however, and the performance balance is quite even. At any price point, it’s far from certain that even an experienced audiophile could identify audible differences between competing 1-bit and multibit players, so making a purchase based solely on the marketing hype of one technology or the other is not a wise strategy. The same can be said of oversampling, another technological wrinkle of digital audio. Virtually every CD player today employs oversampling to permit digital filtering; four-times (or “4X”), eight-times (“8X”), and higher rates are widespread, and 1-bit players by definition include high re-sampling rates. Once again, these numbers provide little if any clue to audible performance. 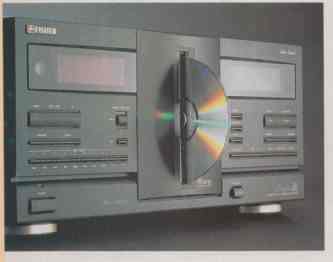 Today’s CD player specifications are a jungle of largely meaningless numbers: Flat frequency response, one-part-in- 10,000 distortion (0.01 percent), and 90-dB or greater signal- to-noise ratios are typical, One spec— dynamic range, which expresses the headroom a design provides between a null (“digital zero”) signal and a maximum-level signal—may provide a useful shorthand indication of overall dig ital and analog performance. A player rated for a 98-dB dynamic range yields reproduction that’s clearly superior— at least on paper—to that of one specified at 88 dB. But even dynamic-range specs are tough to compare, as different measurement techniques and tools may yield numbers varying 6 dB or more from the same player. In short, specs are of little use in picking a player, beyond confirming that a particular model meets today’s standard performance levels, as most players on the market in fact do. Okay. You’ve budgeted more than $1,000 to spend on a CD player. What should you expect from high-end models? • Better sound? Maybe—but it’ll be tough (or impossible) to confirm. Most high-end designs employ top-shelf D/A converter chips and associated circuitry, high-quality, tight-tolerance analog components, and advanced oversampling circuits with superior analog filters and output sections. All of this should add up to superior performance—but there’s no guarantee that you, I, or anyone else will actually hear it. One sound argument in favor of high-end players is that disc- production techniques and standards are constantly evolving, resulting in subtle sonic improvements that top-shelf players are more likely to pass onto your ears. • Excellent disc handling? Absolutely. Any player in the $1,000-and-up range should handle errors caused by lightly scratched or dirty CD’s without complaint. It should also provide above-average isolation from bumps and airborne vibration. • More features? Maybe, but probably not. Paradoxically, high-end CD players (like other high-end hi-fi components) tend to offer fewer features in a quest for simplicity, which some feel enhances audio quality. • High-end appearance, finish, and construction? Beyond doubt. Any kilobuck-plus CD player should look good, feel nice, and be crafted with obvious care from top-quality materials. If you’re contemplating this level of expenditure, accept nothing less. Once you determine the type of player you need, and the features you want (see “Extras! Extras!”), what else matters? Ergonomics, or ease of use, is very important. The design and layout of controls, the size and legibility of displays, and the complexity and feel of remotes may seem like flits to pick now, but in six months’ time they often loom large as worthwhile benefits—or aggravating flaws. Be sure to spend enough hands-on time with a prospective player to get a solid feel for it, and be a tough critic. Finally, though it may seem self-evident, don’t be afraid to trust your own instincts. If a player “sounds better” to you, buy it. You may be fooling yourself, but if you’re happy with the sound, isn’t that the whole point? More important, be sure to look, touch, and feel. A player that looks and feels well-made, has smooth-operating, high-quality controls and mechanics, and pleases your eyes is a better choice than one less carefully crafted or attractive (if it looks, walks, and quacks like a duck, it’s probably a duck). Put another way, it’s your money: Spend it on a player that pleases all your senses, including your sense of value, and you’ll be happy with it for years to come.